The amazing thing was — my dad wasn’t buying it for me. Somehow, though, I needed his permission. Yet, I was the one walking out of the dealership with a title and a $500 monthly payment on a vehicle. It didn’t matter, I was enthralled. It seemed my whole life was about to change. The car was a convertible. For the first week, I was internally on-fire every time I drove that car. I wondered if people were looking at me. I wondered if I could feel better than I did when I sat in those fire-red leather seats. Then, the buzz wore off. It wasn’t long until it became an ordinary car. It didn’t feel as special. It didn’t look as shiny. The rear window cracked a little. The monthly payments were taking a big chunk of my monthly paycheck. Ten thousand times, I thought all these things were valuable, until. . .
One: They didn’t taste as good as Jesus. Two: Their joy ran out. Three: I got bored with them. Four: They actually became slavery. Five: I wanted something else better. What have you thought “was life”, only to find out– in the end –it wasn’t? A new car? A house? A better wardrobe? A new husband? A perfect job? 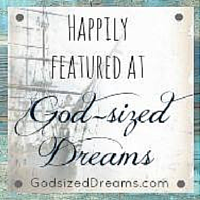 Everything pales in comparison when laid up against the One Thing, Jesus, who is everything. Treasures are trinkets once you get a taste Jesus’ love. My heart, these days, wants to invest — less in goods — and more in love. What about you? What are you searching for? What do you believe will fulfill your greatest hopes, dreams, desires, and wishes? So, today, more than ever, I invest in faith. 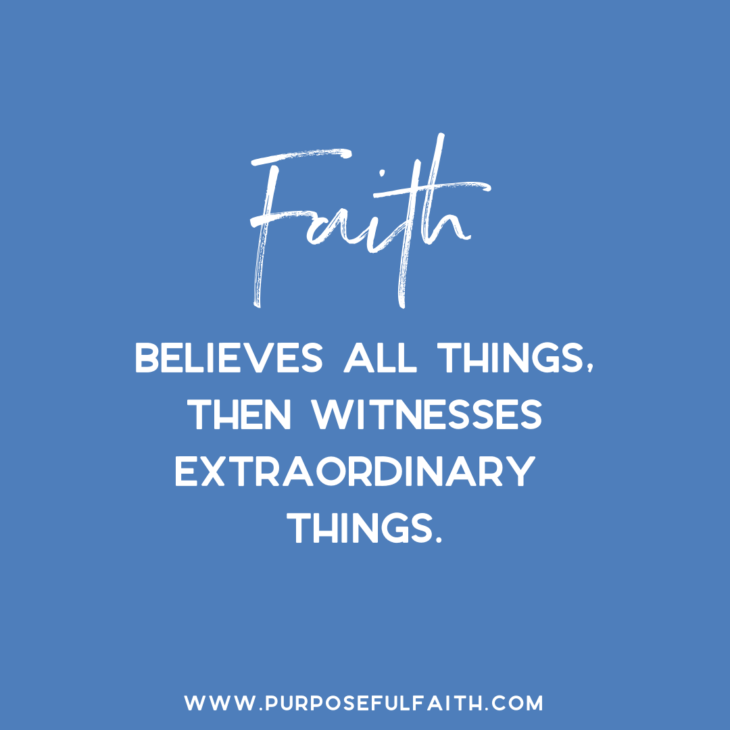 Faith is to believe God, despite what you see; to trust God more than you know; to rest on God more than makes sense for your running mind to comprehend. Because it is faith that gets to know Christ and to experience His mighty power that, astoundingly, raised Him from the dead. 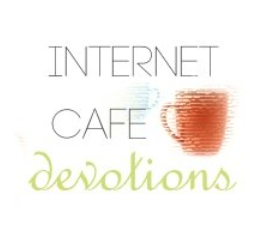 Prayer: God, today, I ask for a transfusion of faith to happen. I ask that every reader of this post would be filled with fresh faith that we would all feel on-fire for you. I ask that lesser things fade away and that you as the One Thing come into pre-eminent position. We want you. We need you. We trust you. Fill us with your love, power, and goodness. We ask to know you more. In Jesus’ name. Amen. The other night, I had an odd dream. In it, I accidentally stepped into an area of water next to my house. Like quicksand, the water and mud pulled me under. I was dying. I know, it sounds morbid, but stick with me. . . When I awoke, I was not only startled by the dream but also shocked at the words I spoke. The reality of the gospel is not that ‘I am enough’, but He is enough. In this, I don’t have to – on my final day or today – fear that I am bad, not good, didn’t do things I should have or that I could have done more. The blessing of Jesus and the price that He paid is that – all His righteousness got put on me. I only need to receive it. When I meet Jesus and Jesus looks at me – I believe, Jesus’ main goal won’t be to search out the worst in me. He’ll be seeing me dressed in salvation, draped in righteousness, full of Christ Jesus. He’ll know me because He knows himself. Praise be to the lamb who was slain. All glory, honor, power, and strength belongs to you!!! In this, today, I receive afresh the fact that Jesus saved me, 100% apart from anything I’ve done or anything I will do. In an act of sheer sacrifice, Jesus paid it all for me, so that I could be free of me. I no longer have to worry if I am enough. I’ll never be enough to reach the standard of God, but Jesus is enough for me to reach heaven. Praise God! Jesus is enough! More than enough! He fills in my every gap and then some. He calls me His own. Father calls me daughter. I am adopted. I am free in His love. I am known and in His care. I am saved and kept eternally, forever. So on that sweet day, when I go, I will — without fear (with God’s help) — run into Jesus’ arms, knowing HE is good enough and that He did enough to save me. Praise God. How sweet it is to be loved by Jesus. How sweet to be saved. How sweet to let all else fade away and to feel yourself in his glory-filled arms, on that special day. 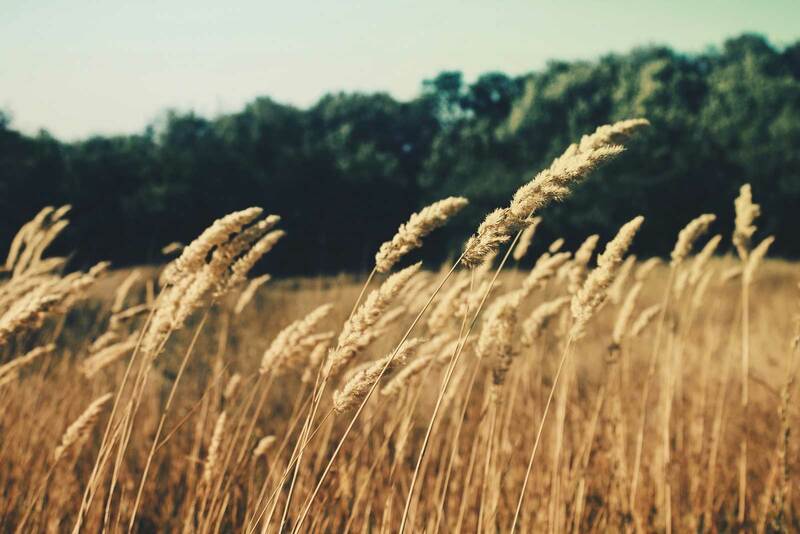 Prayer: Until then, God, will you give us an intimate knowledge of how much we are saved, loved and enough, in you, so that we can run into your arms on that glorious day, without shame? Will you let us know how much it is all about you, and so little about us? We need your grace, love, and peace to understand. Thank you, Father. If you are a mom or dad, you’ve probably spoken a statement you’ve regretted. We’ve all been there. Plus, some unmentionable statements spoken under my breath (which I won’t get into). I’m not proud of this. Why? Because words reflect one’s heart. My words don’t only damage others, they damage me. Untimed and uncontrolled words cause arguments, frustration, anger, irritation, bitterness, strife, worry, restlessness, anxiety, divorce, job loss, court losses. . . (the list goes on). Plus, when I go about . . . complaining, whining, insulting, attacking, gossiping or faulting someone. . . I never feel good inside. Do you? I regret my words. But, the hard part is knowing — how to “not say” what I know I “shouldn’t say”. Sometimes my words get out of my mouth before my mind catches up with them. What is a fast-speaker to do? Reflect before responding. Consider: How might Jesus respond? What might God want this person to know? How can I speak truth full of overflowing love (you have to really check your motives on this one)? 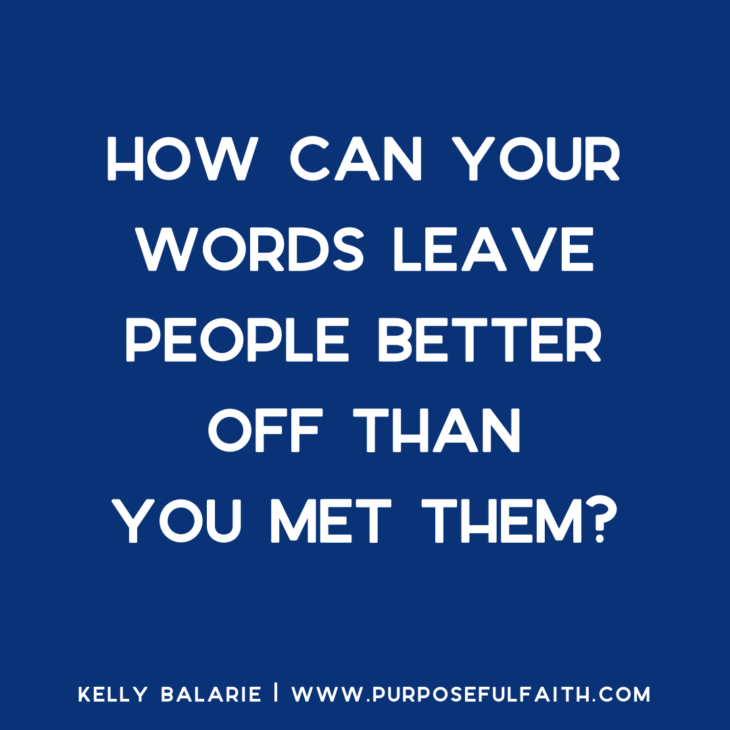 Our words make or break people. They give life or steal life. Before you speak, ask yourself: Is what I am going to say life-adding or depleting? Will it produce blessing or increase fear? Not every story needs to be told. Not every detail needs to be divulged. It is a matter of a wise woman to pause before she speaks. If it is not holy, righteous, of good report, worthy or true, shut-eth the trap-eth. Ask God what He wants you to say. Then, respond-eth accordingly. Along the way, extend yourself grace. Remember, if you spew some horrible-blahness on someone and you didn’t mean to — thanks to Jesus, your mistakes become investments in learning. Be sure to learn from the lesson and develop a plan to speak more wisely next time. If you change your words, you will change other’s lives. 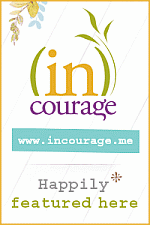 Be an encourager, a blesser, a visionary, a hope-filled friend, a source of life and someone people can trust in. Test it out and let me know how it goes. Whenever she does something – it’s off. There’s one particular friend who can’t seem to do things exactly right. It’s as though when she buys me a gift, it’s the one color I dislike. When she says she’ll see me soon, she forgets because she “had to run more errands” and shows up 30 minutes late. When she’s trying to be thoughtful, it’s awkward. Now, issues like this would be fine as an isolated incident, but she always and repeatedly acts this way. I know her heart, but she lets me down – even though her intentions are good. It is easy for me to judge her. And, I have. Her wrong timing. Her wrong words. Her wrong ways. But, recently, I’ve been wondering if I’ve been wrong? Where God wants us to bear with one other, the enemy wants to tear us apart. Recently, I started noticing my 7-year old son’s tendency for ungratefulness. I’ll buy him the world and he acts as though I owe it to him. I go out of my way to reverse my car so he can see one particular person that looks like his teacher and he gets upset I didn’t do it fast enough. I make him a special dinner and he hardly notices. He tells me he wanted something different. I’m like my son. I get ungrateful. I don’t see the good. I want things to cater to me at times. I repent of this. The reality is, this friend is not perfect, but she’s pursuing relationship as best she can. She has many outstanding characteristics about her. She is giving. She makes time to show up. She goes out of her way to be thoughtful. I’ve been hard on her. I’ve made a mistake. I am sorry God. 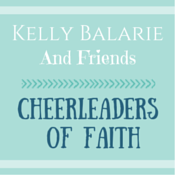 Father, will you help me to see the good in others, before critiquing the bad? Will you help me give thanks for the beauty you’ve created in them, even when it is hard to see? 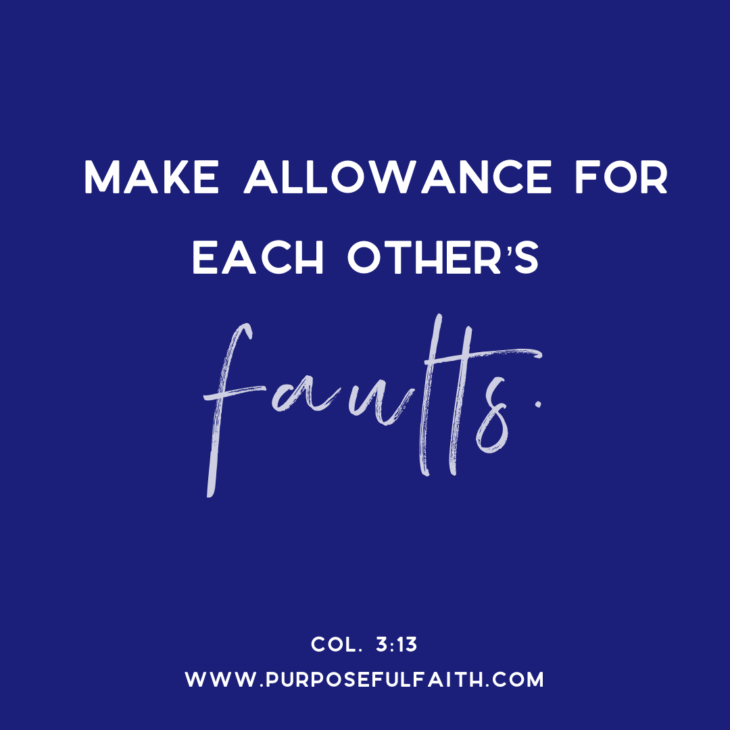 May I make allowance so I can draw closer rather than giving enemy room to drive us apart. Thank you for your help, Father God. That’s an odd thing to hear while standing in line at Goodwill, but I ignored the cashier and kept going through my cart to see what items “sparked joy” and what would I discard. As I got closer to the register, she lit up and said through her smile, “I’m so glad you didn’t get in the other line when it opened up. You are my blessing! 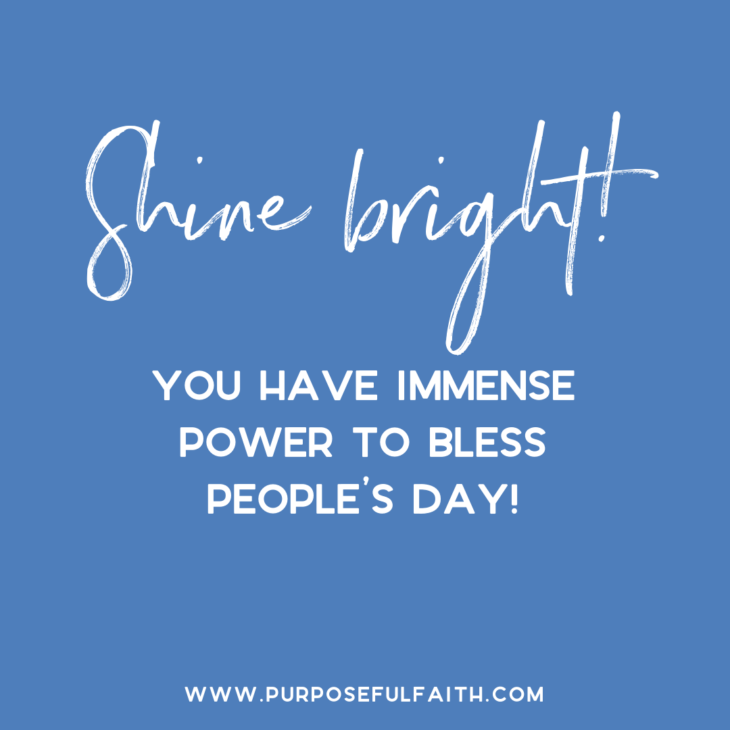 I know you don’t come in here often, but every time you do, people gravitate toward you, and you always bless me by asking how my day is going.” Wow! I asked her for her name and how I could pray for her. Darlene told me she was going through a custody battle and knew the enemy was attacking her but she trusted God. She came from behind the counter to hug me as I prayed for her. This one trip to do what I love to do, what I wrote a book about doing, and what I thought was a normal 8 PM quick trip turned into thrifting with a purpose. . .
You see I had planned to go to my local store just minutes away, but the Holy Spirit led me to this one. What if I decided not to go that night and ignore His voice? What if I would have been so consumed with the purchases that I missed the purpose in going? 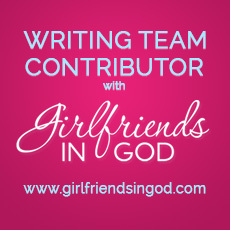 My sister, what if we decided to ask God to use us in our everyday life to bless those we come into contact with? What if we took God at His word according to Romans 12:1 MSG? Prayer: Father, with your help, we will take our everyday ordinary life – our sleeping, eating, going-to-work, and walking-around-life, and place it before you as an offering. Help us to recognize how we can be a blessing to those who come into contact with, even when we are enjoying our hobbies. Use us for your glory and help us obey the voice of the Holy Spirit so that we can join in where He is working. In Jesus name, Amen. 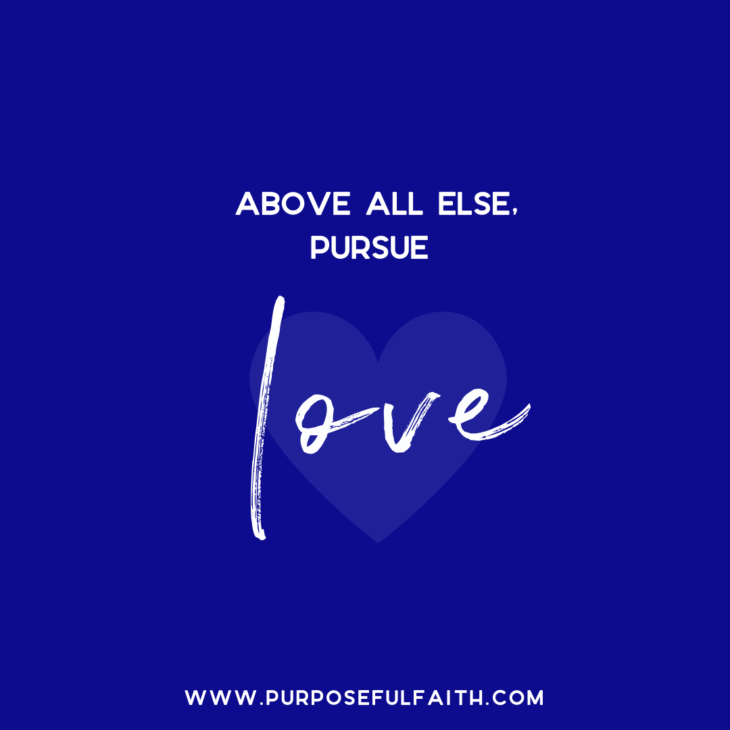 Adrienne Young’s mission is to love, live and lead on purpose with a purpose in every area of her life. 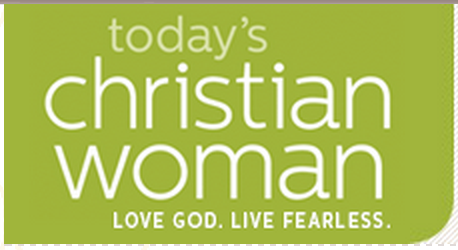 She is 100% committed to helping women of faith do the same in their lives and businesses. 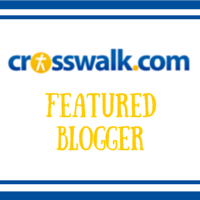 Sought out by Fortune 500 companies for professional development, Adrienne combines her John C. Maxwell leadership training with 16 years in education to take organizations from start-up to implementation via her company Adrienne Young Ministries, LLC. 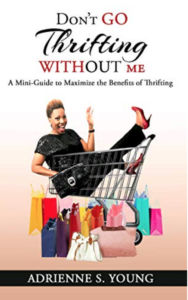 She is the founder of Remnant Warriors Global, Inc., Women Who War, and is the author of the best selling book Don’t Go Thrifting Without Me. Adrienne serves in ministry with her husband Edward. They have two sons, Emmanuel and Elisha, love football, and reside in Fort Mill, SC. Now, I did not know “that person” or how they would react to my son knocking randomly on their door. As I am sure you all know, I’m all about sharing God, but being a door-to-door solicitor for Jesus seemed, well. . . a little beyond me. All the same, my heart was struck by the thought: If I want Michael to get to know God personally, I have to permit him to personally move towards God. In this, He’ll get to see God show up. So, I gave him permission. My son parked his bike and I circled in the cul-de-sac with my daughter, trailer-in-tow. Heart-pumping – while wondering if my child was about to be abducted – I carefully watched from the street. Yet, the more I watched the more I couldn’t believe it – both my son and the lady who he was now talking to were smiling and laughing. Then, the lady handed my son – what?!!! – cash. Yes, money. Her son took out cash and passed it to my son too. And, so it is with God. 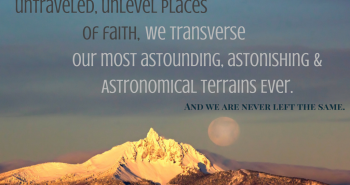 When we submit to him, He does the unbelievable. And, here, as I reflect back on this whole amazing set-up that God orchestrated, and my sons’ courage, I can’t help but think: It’s often risk-taking that lets us walk into God’s most amazing things. It is when we do things that are out-of-the-ordinary that we get to see God’s extraordinary moves. It is when we put ourselves “out there”, in love, that we feel God’s deep love making its way back into our hearts. It almost always feels comfortable. I thank my little 7-year old for this “beyond-me” lesson on love. With this, I wonder, how can you love extraordinarily today? How can you let someone know, “God loves them”, even if it makes you feel weird? The immensity of fear suddenly gripped my chest. I am a liar. I lie when I don’t mean to. I get defensive, thinking I am telling the truth, only to realize later my husband was right. I cover up my real emotions when people ask how I am. I don’t like to look weak even though, there are many times when I am. I am a pretender. I am a liar. God throws people like me away — into burning sulfur. Thinking hardly anything about wonderful Jesus, and a whole lot about horrible me, I decided: I am not enough, I may not make it “in” and how I may be fooled and not be saved. I was under a massive spiritual attack. Friends, a spiritual attack is anytime the power of you speaks louder than the sacrifice of Jesus. It’s when your issues look massive and Jesus becomes a passive figurine. It is when faith flees and your failures and future looks abysmal. It is when your feelings get so enlarged, truth can’t squeeze in. -It is all about Jesus. -It is all about the price He paid. -Jesus accomplished everything, even when I can’t seem to fix anything. The provision of grace means the revision of me. 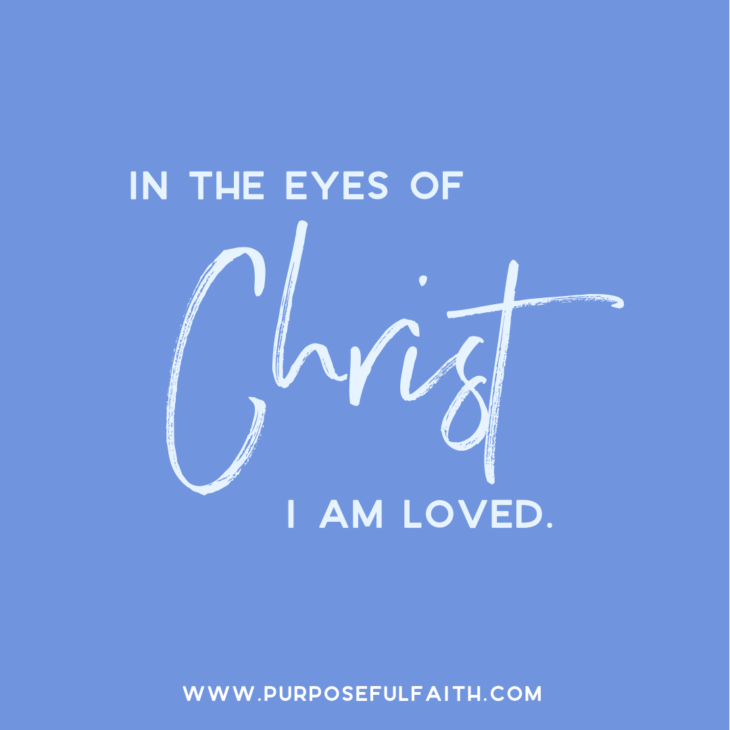 Rather than hiding myself away from God, in fear that I am not enough, I can come to Him with an unveiled face, as He helps me realize that I am enough in Christ — and that He will change me. The same goes for you. . . All of Christ is more than enough to save all of you, no matter how far off you perceive yourself to be. Then, give thanks and worship God. 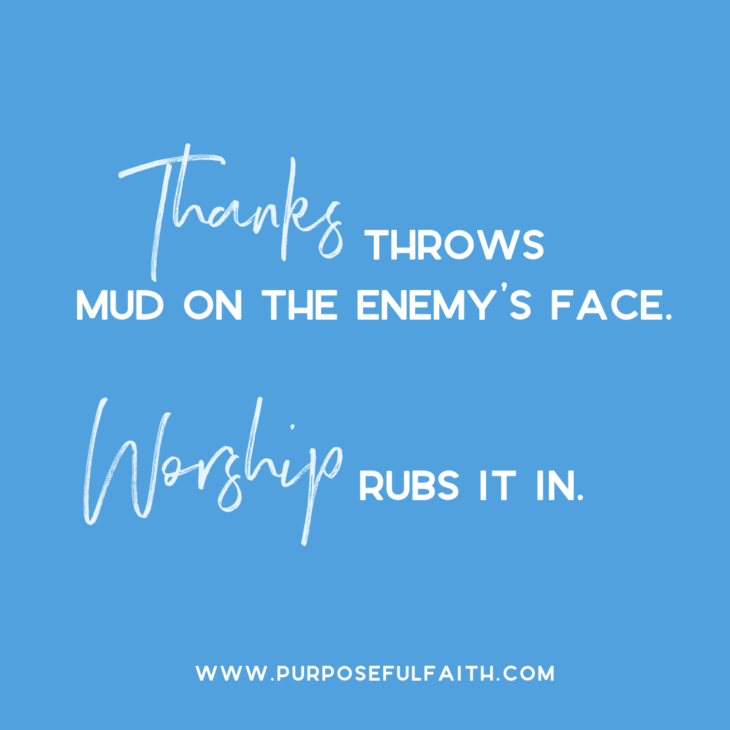 By doing this, you’ll rub mud in the face of the enemy. I want to know what God is doing. I want to know why things have happened the way they have: I want to know the reason a family member passed away, why I am still stuck in different areas in my life and how God is going to show up in the future. I want to demand answers from God on many a day. Tell me! I need to know. Like Eve, I say, let me “know”, God! ASAP! Knowing is not always beneficial. Have we ever considered? Not knowing makes us fortunate. You don’t have to know the whys. Or, get answers to every question you have. 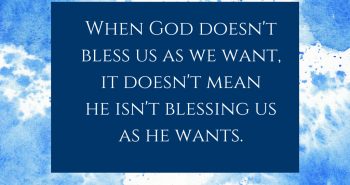 Blessed is the man who trusts God to put-everything-right, without knowing-every-nitty-gritty-detail regarding how. Our knowledge doesn’t make things right, God’s good work does. It handles all those things we most fear. 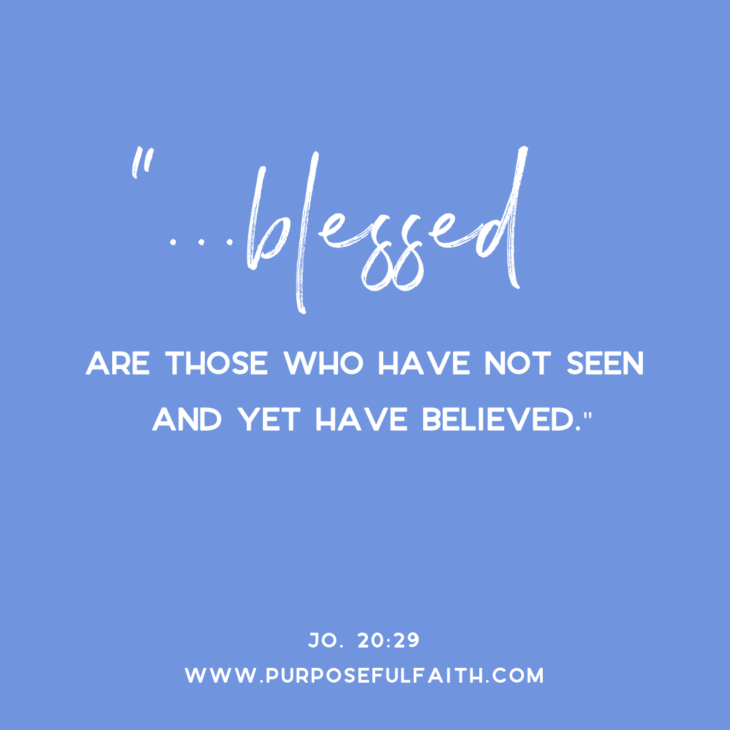 When we believe anyway, we are blessed. When we trust, we are fortunate. Where do you need to let go of any unresolved pain, bitterness, grief, misunderstanding, anger or worry? Where do you need to let God off-the-hook for the answers, in order to find peace? Where do you need to bask in the fortunate you’ve obtained; the fact that, for you, God no longer “keeps score” of your sin? (Ro. 4:7 MSG) Today is the day. Ask God to forgive you for carrying around these burdensome demands; let His help come in and rescue you. 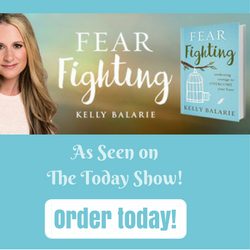 Learn more about Kelly’s new book, Battle Ready: Train your Mind to Conquer Challenges, Defeat Doubt and Live Victoriously. Feelings can be frightening, overwhelming a heart to the point of desperation and misery. Or prisons, entrapping one to past experiences, traumas or memories. Often they become future proclamations, declaring over us, “What was, always will be. You’ll never escape this emotion.” Feelings, on the other hand, can be amazing, liberating and soul-rejuvenating. Just think of the best day of your life! Up, down and all around – they move like the wind. Like a hurricane or an underground rocking that shakes the foundation of who you are. I get all this. I know how anger has made me act, in days of old. I remember getting all up into my sisters face. And the feelings of self-annoyance I perpetually lived with. The depression that made me feel like there was no good way out of life. Feelings can be fun, or no fun. They can be old and then haunt us again. I fear some of you have done this. Sadly, now old feelings are cramping your good style. They’ve spread out all over the space of your soul, heart and mind, stealing your attention on God, negating God’s good plan for your life and telling you that there’s no way you can be enough. People ask me what to do with “feelings”? Well, I think when we see them at our doorstep, we peep out the side window and first acknowledge them. We allow them and we even bring them to God. There he is again, “Mr. Disappointment” I see him there, trying to get in. God, what do you think about this? What does your word say about hanging out with this emotion for too long? Then, with wisdom, we decide whether or not they can sit in our house for long periods of time. 1. Are these feelings going to cause me to dwell on what is “true, noble, right, pure, lovely, admirable, excellent, praiseworthy” or lesser things? (Phil. 4:8) Are they leading me to life or death? 2. Are they reinforcing God’s truth or are they backed by lies? 3. Are they helping me to love God (and others) with all my heart or do they cause me to pull away from this? 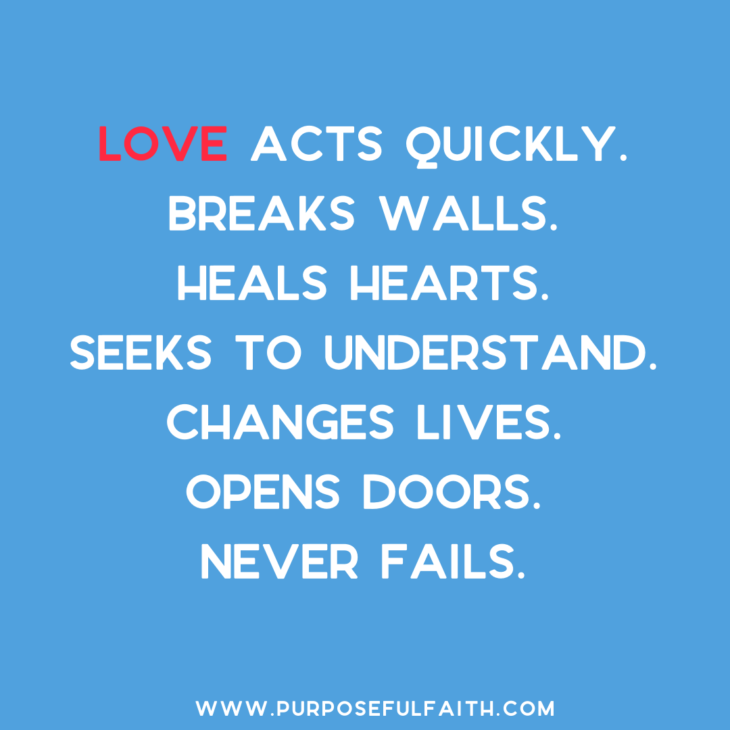 If we’re called to do all things in love, anything contending against it should be heart-checked. Friends, we don’t have to declare our initial feelings as “bad”, ignore them or hate ourselves for them. However, we do need to see them for what they are, quickly, and make moves to let Godly-facts take precedence over wavering-feelings. Why? Because sadness soon turns into isolation. Rejection soon turns into depression. Anger soon turns into a division. Loneliness soon turns a bottle. You get the picture.